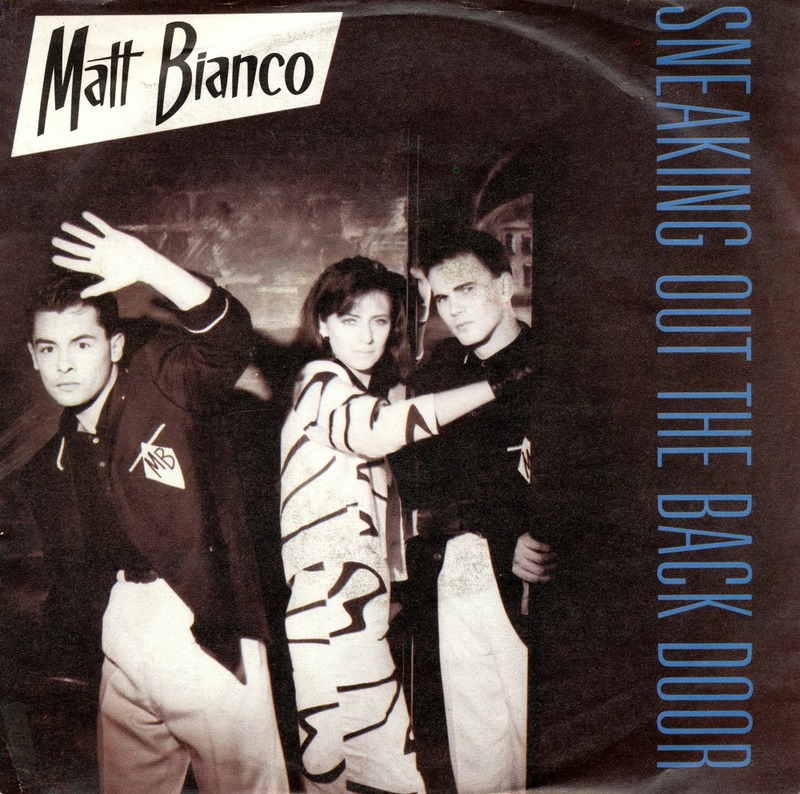 'Sneaking out the back door' was the second single by Matt Bianco, taken from the band's debut album 'Whose side are you on'. Released in April 1984, this single reached number 44 in the UK singles chart and number 22 in Ireland. 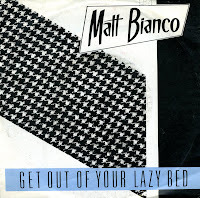 The single is considered a double A-side, since the instrumental 'Matt's Mood' was used a lot on the radio in the Eighties. When you play the track (below), you will almost certainly recognise it. 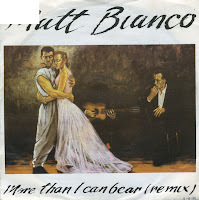 Released in February 1985 as their fourth single, Matt Bianco's 'More than I can bear' was not their biggest hit but perhaps their artistically most accomplished song. The song appeared on their debut album 'Whose side are you on' (1984) and was remixed for the single. It reached number 50 in the UK singles chart and number 22 in the Dutch Top 40. Basia was the lead singer on this single by Matt Bianco, released in the autumn of 1984. 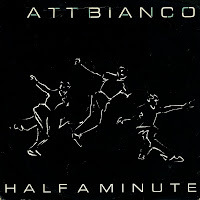 While it only reached number 23 in the UK singles chart, it spent 10 weeks in the chart, which was quite a feat. The summery video was a regular on television, even in the Netherlands, where it did not chart. I found the single years later. I think I must have seen it many times before I bought it, but the sleeve is a bit inconspicuous. 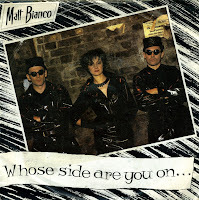 'Whose side are you on' was the title track from Matt Bianco's debut album. The single was released in the summer of 1984, and was promoted with a music video which still sticks in my head despite the fact that I haven't seen it for two decades. The single was a hit in the Netherlands, peaking at number 23. It was not released in the UK and America. 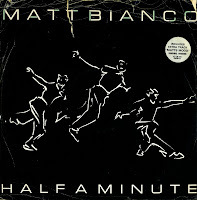 'Half a minute' was the third single taken from Matt Bianco's debut album 'Whose side are you on' (1984). The video was on television almost daily in 1984, when the single came out. It reached no. 23 in the UK singles chart, but it didn't make the Dutch Top 40. I found the 12" single in London and bought it because it was very cheap. It should be: the sleeve was torn and folded, and the disc wasn't in the best condition. But I was curious to find out what the extended version was like. It's still a lovely, summery song.